Teachers are a precious, if often overlooked, resource in any society. But even more precious are those rare few who, in addition to offering knowledge and nurturing, keep the flame of culture alive. Bob Mitchell was such a teacher. He was, ostensibly, a high school Latin teacher; but he was, in fact, much more than that. You’d have to know this guy to fully appreciate him. Picture long blond hair, glasses, a handlebar mustache and a barrel chest, always moving like a runaway train– in heavy clogs, so you could hear him coming a mile away (he was a devoted runner and participated in the Boston Marathon many times). He was the smartest person I’ve ever met face to face. He spoke more than twenty languages and could flip between them like another man would flip between TV channels. He read at least one book a day and retained everything. He had traveled all over the world and retained all of that, too. He didn’t just teach a dead language– he breathed life into an ancient world, he took the words and made you see beyond their definitions to what they meant to the people that had actually spoken them, the colors and shades and nuances of idioms and turns of phrase and slang and how it related to their culture and their daily lives. I’d sit in his class and be in awe of him. He was never still, always moving at a hundred miles an hour; but that was only a fraction of the speed of his mind. Watching him teach was like watching a brilliant performance– or, rather, a performance of brilliance, a stand-up act of the mind, a Vaudeville of the intellect. Stories, puns, wordplay, endless digressions into the minutiae of the ancient world; a single word could conjure up an entire aspect of a lost civilization and he would paint a picture of it as if he had been there. Seeing him in action was inspirational; it was like watching the pure essence of Humanity at work. Or, rather, at play. Mister Mitchell never worked. He just lived and breathed his passions and let them overflow into whoever was lucky enough to be near him. He was an inspiration just by existing, but he also was generous with his individual attention. No student ever lacked for his undivided focus, no question ever went unanswered, no quirk or eccentricity ever went unappreciated. For me, he always encouraged my writing, and was never less than brutally honest in his assessments. After graduation, he actually took me out to dinner at the No Name Restaurant to talk about writing and give me encouragement. He was, in short, the coolest teacher a student could hope to have. "Once a student casually asked him if there was a translation of the Gettysburg Address in Latin. There was not, and so Mr. Mitchell came into school at six o'clock the next morning and translated it himself, from memory, unaided by any dictionary, within a matter of hours. He filled Room 318's two wall-length chalkboards in his narrow, near-unintelligible calligraphy." At the youthful age of 60, Bob Mitchell succumbed to melanoma. He is no longer with us, but he has left behind a legacy of cultural and intellectual devotion, passed on like an Olympic torch to not one, but thousands of kindred spirits over decades of teaching. We gained from him not just a wealth of knowledge, but the example of a life well lived: To embrace your passions and to never pretend to be less than you are. Below is a video tribute to the late, great Bob Mitchell. 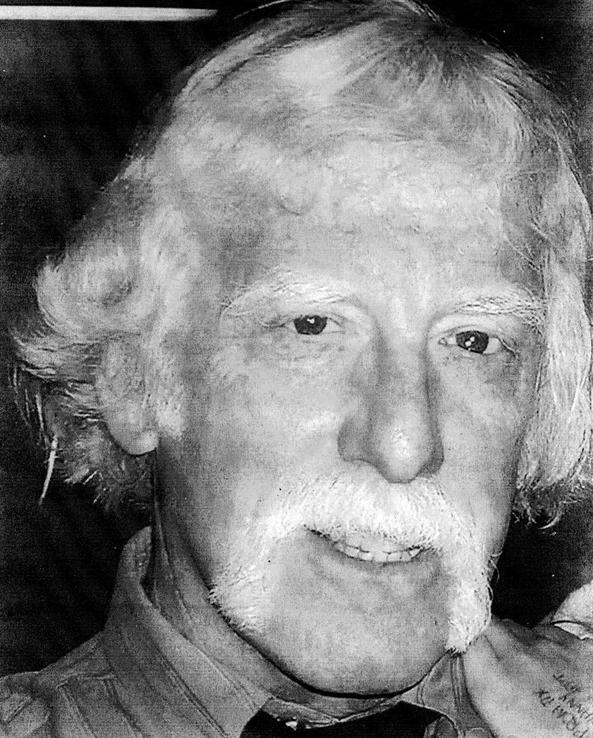 Rick Hutchins was born in Boston, MA, and has been an avid admirer of heroism since the groovy 60s. In his quest to live up to the heroic ideal of helping people, he has worked in the health care field for the past twenty-five years, in various capacities. He is also the author of Large In Time, a collection of poetry, The RH Factor, a collection of short stories, and is the creator of Trunkards. Links to galleries of his art, photography and animation can be found on http://www.RJDiogenes.com. He’s no Mister Mitchell, though. He sounds like an incredible man, RJ. And having read your written works and your internet postings I can see the influence of Mr. Mitchell in there. He truly was an inspiration. Thanks, Lupy. He was definitely a big inspiration to me, from his delight in words and language to his love of all the little details of the Human condition. I just wish I had half his energy…. And thank you, Scotty and George, for letting me post this here. I really appreciate it. 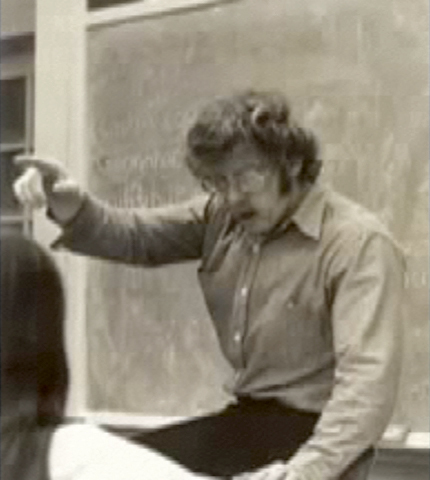 I had the pleasure of studying Latin with Mr. Mitchell in 1977 and 1978, his first years at Weymouth South, as pictured near the end of your story, when his hair was flaming red and his enthusiasm no more subtle. We affectionately named his Mitche and declined his name as he declined ours when calling on us. Then it was clogs and Levi corduroys and he explained to us that his barrel chest came from converting from football to marathoning. He instilled in us a love of learning and a love of languages that I carry with me always. He talked to us in the cafeteria and in class as real people with real ideas at the tender ages of 15 and 16 and he was one of the most supportive and passionate educators I have ever met. I thought of him when I saw Europe and especially Rome for the first time, a long time after Weymouth. I hold on my bookshelf a Latin book of verse he gave me at graduation and a book from his personal library that was so generously donated at his memorial service. His tiny calligraphic signature betrays his giant personality and can make me weep after 30 years because I was so found of the man and the many sparks he lit under us as we went out into the world. I will cherish his memory always. RIP, Mr. Mitchell. Thanks for posting, MitcheFan. I’m glad you found this Blog. It sounds like you were one year behind me at Weymouth South– those were the same years he was my teacher. I was looking for Mr. M. to invite him to our 35 HS reunion. My heart cried when I found this. I am shocked to find out that this incredible Latin teacher died so young. He left the most indelible impression on me as a student of a dead language. Reading and translating,”Taurus the Bull” “Winnie the Pooh” Alice in Wonderland” and much more made Latin come to life. We did not just read about Ceasar and his troops digging dirty trenches. Oh no we were allowed to read all that was much more interesting. I would have been thrilled to see him at the 35th Beaver Reunion. Thanks for posting, faith and |carolyn. I was as sad and shocked as you were. But it’s nice to hear from more of Mr Mitchell’s students, though. I was in the last class Mr. Mitchell ever taught. He’s the reason I’m still taking Latin, the reason I learned to love not only the language but so much else about learning. Thanks for posting, latinscholar. It’s good to hear from someone else who was inspired by Mr Mitchell. No one who knew him will ever forget him.